The UK PRM (People, Reward and Mobility) team at Dentons strives to keep you up to date with what’s happening in the news that has an impact on you. It was notable that Wednesday’s search had a common theme running through the articles. They all related to equality addressing either equal pay or gender diversity. The Daily Telegraph reported findings that maternity leave isn’t to blame for the wage gap between men and women. It reported that women’s wages grow more slowly than men’s even for the youngest workers aged 16-29, i.e. those who have yet to take any period of maternity leave. This calls into question the previous understanding that the 9.8 per cent hourly pay gap was due to career choices after having children. The Financial Times focused on the investment support that women entrepreneurs receive, or more particularly don’t receive. Its article highlighted the growth in the number of women entrepreneurs yet the lack of backing that venture capital firms gave them. Most start-ups rely heavily on venture capitalists to give them a start and help build their business. While we do not know the number of venture capitalists, it does run into hundreds. However, only 58 had a clear gender mandate and they raised less than 3 per cent of the total capital raised by venture capital firms in quarter four of 2017. The article referenced two steps being taken in London to try to tackle this the march on Equal Pay Day and the Gender Lens Investing Summit. Equal Pay Day, on 10 November, is the date when women start working for free until the end of the calendar year, because of the gender pay gap. The Gender Lens Investing Summit in November will bring interested parties together to focus on how parties can channel financial capital to speed up change. The Metro reported on female workers who marched on Tuesday in one of the UK’s biggest ever strikes over equal pay. The fight for equality, diversity and inclusion will not therefore go unheard, it seems. It will remain in the headlines until there is a level playing field. Businesses and government ministers appreciate at last that this is an issue that needs addressing. The initiatives being taken extend beyond gender as we can see by the consultation launched by the government to seek views on ethnicity pay reporting by employers. 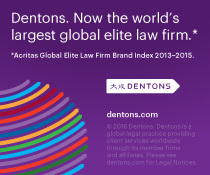 Dentons will work with its clients to file a response to this consultation.